August 1 was our wedding anniversary. We weren’t able to celebrate it that day, though, because I had a work deadline to finish. We decided to have a movie date and dinner date the next day. We watched a movie at SM Megamall and had dinner at Texas Roadhouse Grill. We ordered two of their bestsellers: Wrangler’s Pork Steak and Outlaw’s Tuna Belly. Peanuts, compliments of the house! 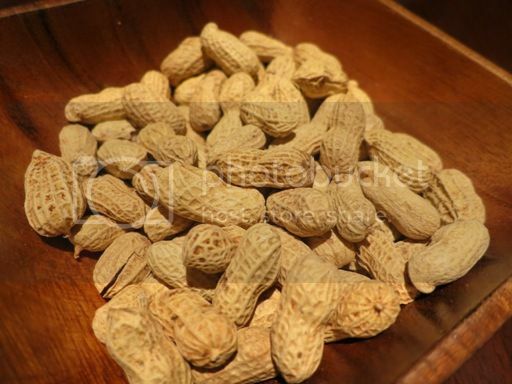 We enjoyed nibbling on these greaseless peanuts while chatting and waiting for our orders. The two pieces of grilled pork steak were tender, succulent and flavorful. It had melted Swiss cheese on top, and it was drizzled with au jus. According to dictionary.com, “au jus” means “served in the natural juices that flow from the meat as it cooks.” Now I know why it’s really tasty! 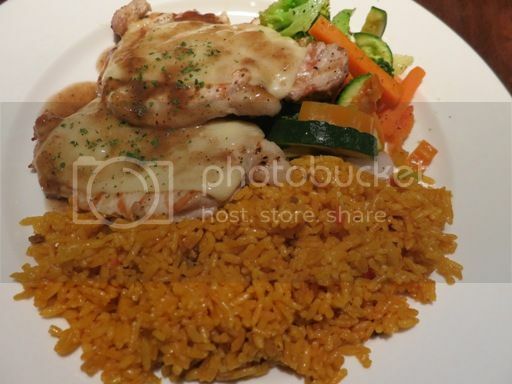 This choice cut of tuna belly steak was first marinated in oriental teriyaki sauce then grilled. Like the Wrangler’s Pork Steak, this was served with Texas rice and fresh veggies. I liked that the tuna belly was thick and juicy, and it was cooked just right. 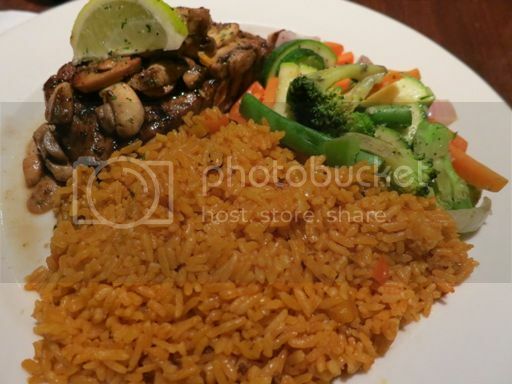 The crisp veggies and Texas rice also nicely complemented this delicious seafood dish. 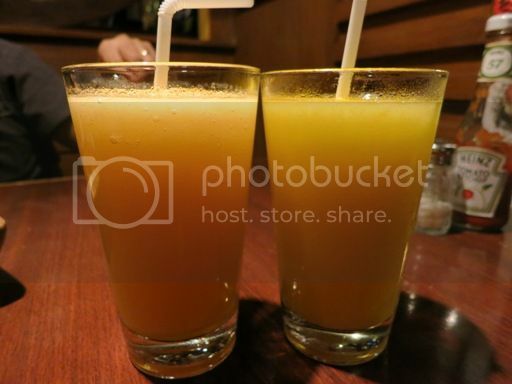 These fruit shakes were refreshing, although I found hubby’s Cantaloupe Shake a bit too sweet. Overall, we had a delightful anniversary dinner. The food was great, the servings were big, the staff were attentive and courteous, and the ambiance was cool. 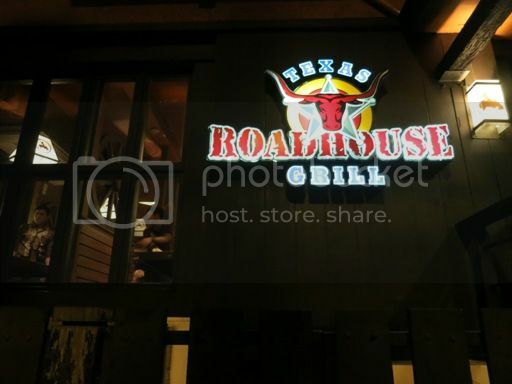 This entry was posted in American Cuisine, Food Friday, Food Trip Friday, Grills, Restaurant Review, Texas Roadhouse Grill. Bookmark the permalink. Have to try that restaurant next time I visit Metro Manila. The foods your featured all seem delectable! what a sweet way to celebrate your anniversary! Happy Anniversary to you both!